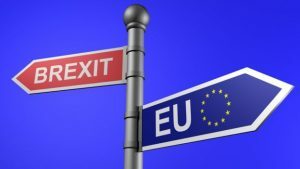 Home » news » What is Brexit and Why Does it Matter? The United Kingdom withdrew from the European Union in 2016 which created an uproar in households worldwide. The UK is set to leave by 2019, but the Treaty on the European Union will change much of what makes the UK what it has been known for. The effect of this change will have an effect on all people worldwide due to the interconnectedness of every country. The UK will withdraw from being one of the European Communities in the common market, which has only been performed by three other countries to date. The Treaty on the European Union includes policies based on internal market, agriculture and fisheries, free movement of workers, services and capital which all provide profitable, stable legal guidelines for these issues. This European Community also addresses the free movement of goods, areas of freedom, justice and security, and the alteration of those policies could be detrimental to the UK. Transport, competition, taxation and approximation of laws are all part of the treaty that have served the UK in a positive manner so far. The reason Brexit is so scary is that the withdrawal cannot be in isolated parts, therefore the UK must withdrawal from all aspects of the treaty including economic and monetary policy, employment, social and consumer policy, networks, industry and environments. If the UK removes itself from the treaty, there will be a lot of pressure placed on the current government to put entirely new policies into action while maintaining respect for older traditions. Many people are curious about the changes, while others fear for the future of the UK and its impact on the modern economy. Things could make a drastic change through the Brexit movement and it is vital that individuals stay informed about the upcoming voting opportunities on new and important policies. The BBC offer a more in depth article explaining all you need to know about Brexit.